The snow, cold temperatures, and icy roads that winter brings to Ohio can cause frustrations for most people. But for seniors, these hazards are more than merely frustrating; they carry significant health and safety risks. Elderly parents or family members require a special emergency plan to ensure they have everything they need in the event of a winter storm or other emergency during cold weather. 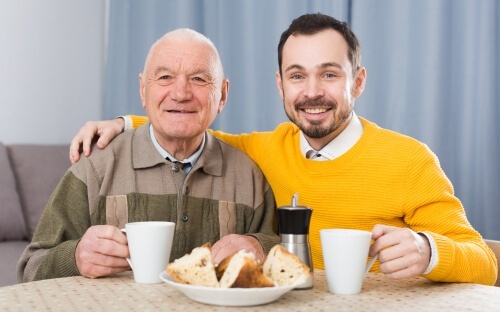 Snow and ice aren’t the only risks seniors face during the winter. 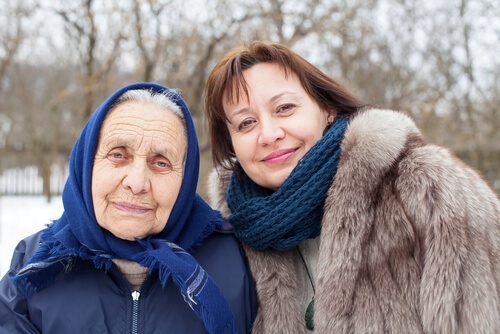 Many seniors aren’t as mobile as they once were or they have health conditions that make cold temperatures dangerous. Slick driveways or roads may keep seniors from getting to the store or to the doctor. Frozen pipes may burst and winter storms may cause power outages, loss of heat, or interrupted communication. For most people, these situations cause inconvenience and maybe even costly damage, but for seniors they can be life-threatening. The good news is that by planning ahead, you can prevent many of the most serious risks. If your elderly loved one drives, it’s important to keep an emergency kit in the car too. This kit should include an emergency blanket, gloves, flashlight with batteries, first aid kit, radio, food/water, and cell phone with charger. Seniors should also know how to stay safe at home during a winter storm, especially if the power goes out. This plan should include wearing layers of warm clothes, listening to a weather radio for updates, eating regularly to maintain body heat, staying hydrated, and communicating with care providers about their circumstances during the storm. Designated Emergency Contacts—Include both the primary emergency contact and an alternative in case that person cannot be reached or cannot respond. Emergency Service Providers—Include emergency medical, fire, and law enforcement numbers, as well as your loved one’s insurance company and doctor. Home Care Providers—If your loved one receives home care services, keep the agency number on hand to find out whether the caregiver will be able to visit or not. Ohio Public Utilities Commission—Check here for information about electrical service, power outages, and utilities. The Electric Company—Keep contact information for your family member’s electric company on hand so you can monitor timelines for restoration of service. Ohio Committee for Severe Weather Awareness—This organization keeps Ohio residents updated about severe weather events and safety procedures on their website. A fall at home can be especially devastating during a storm when emergency personnel may experience delays. There are several things you can do to make your loved one’s home as safe as possible to prevent falls. However, if the worst happens and your senior loved one gets injured or stranded during a winter storm, your emergency plan should provide the resources needed to keep them warm and safe until help arrives. Practicing safety drills ahead of time can help seniors feel more confident that they know what to do during an actual emergency. One of the greatest risks to seniors during an Ohio winter is the severe cold. Power outages, car accidents, or falling outdoors and being unable to get back inside can all place seniors at risk of hypothermia. By planning ahead and talking through what to do in each of these scenarios, families can help their senior loved ones weather the storm safely.